Today is the 63rd anniversary of Karen Martyrs’ Day that commemorates Karen leaders and civilians who sacrificed their lives for the cause of the Karen people under successive Burma military regimes. In a letter addressing all Karen people, General Mutu Say Po, chairman of the Karen National Union, said that the sacrifice of their lives by its martyrs had help the Karen people to exist as a nation and maintained the Karen struggle. In January 2012 the KNU reached preliminary ceasefire agreement with Burma government. 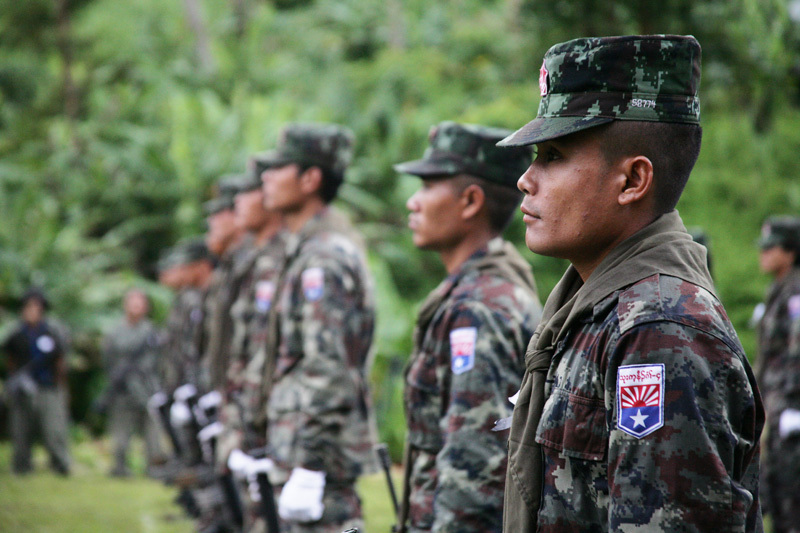 The KNU stressed that this is the first step towards building peace in the country. Karen soldiers, civil society groups and observers have said that since the ceasefire agreement the KNU and the Burma government have made little progress and have yet to reach an official level of political dialogue. General Mutu Say Po message on Karen Martyrs’ Day noted that the KNU currently faces many difficulties. The KNU leader’s statement encouraged Karen people to be involved in the Karen struggle. The Karen Martyrs’ Day is commemorated each year on August 12, the anniversary of the day when the Burma Army assassinated the Karen’s leader, Saw Ba U Gyi, in 1950. The Karen Martyrs’ Day is held to commemorate soldiers and people who lost their lives in the arm conflict between the various Burma military regimes and the Karen people over the last six decades.